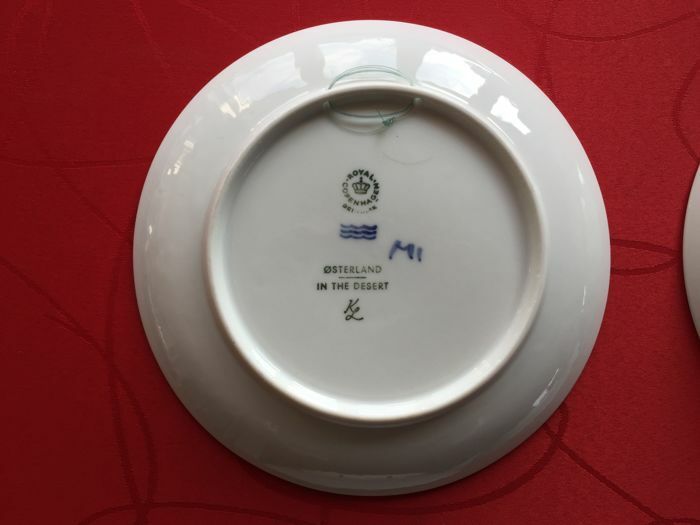 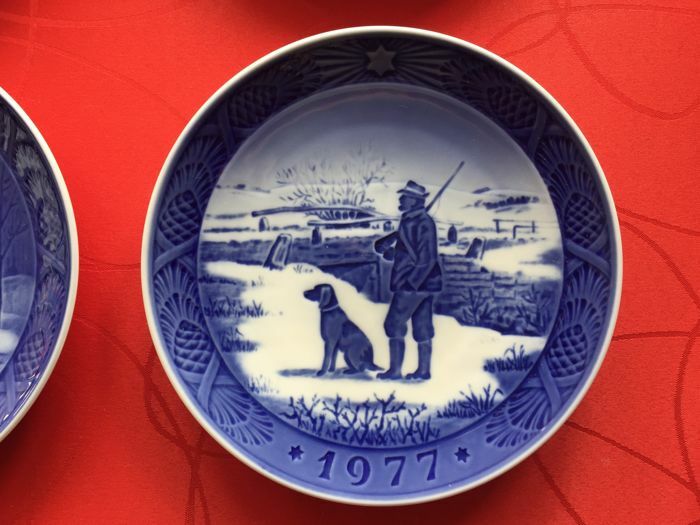 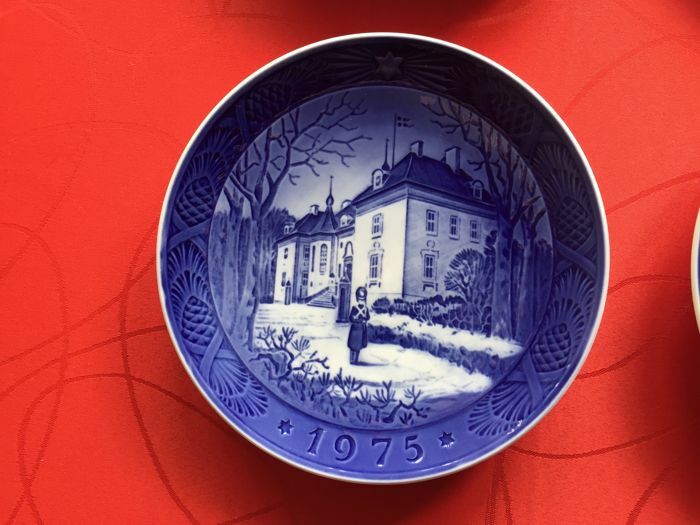 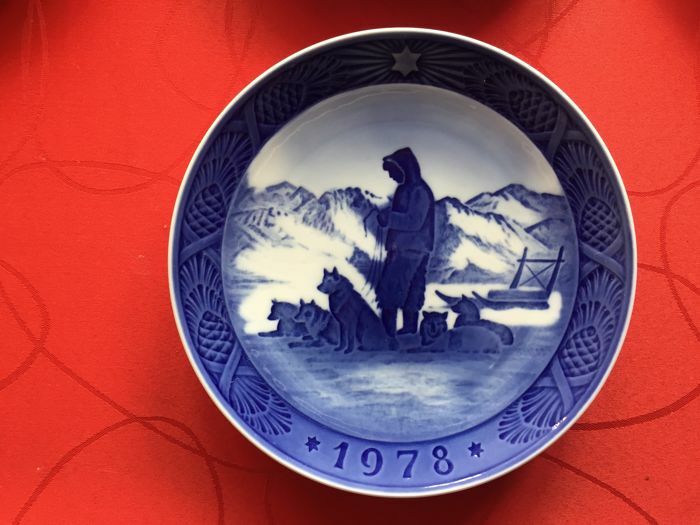 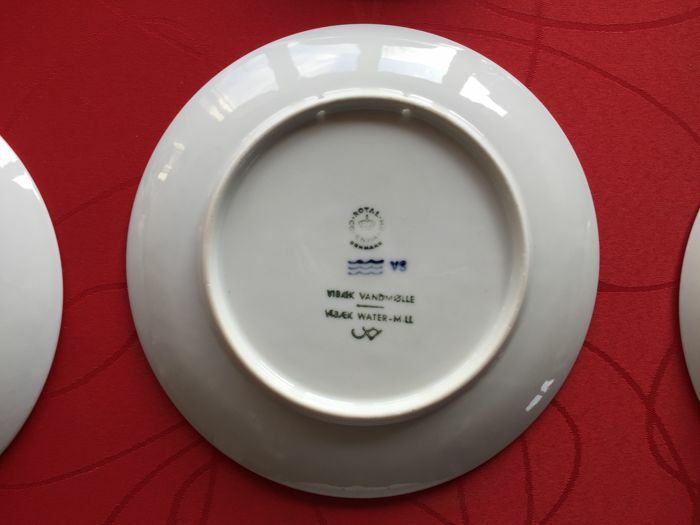 8 commemorative Royal Copenhagen Christmas plates, years: 1971-1978. 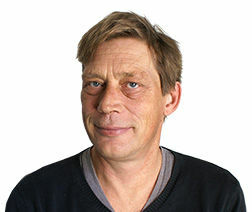 Designer/artist Kaj Lange (71-75; 77-78); Svend Vestergaard (1976). 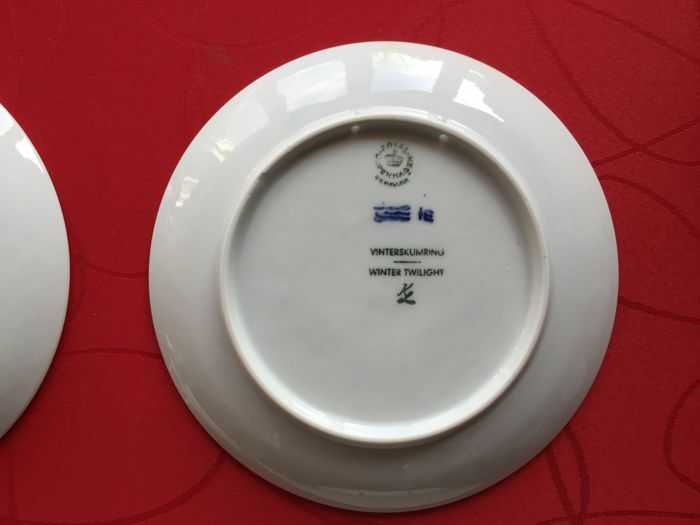 All are factory first quality plates in mint or near mint condition (see photos). 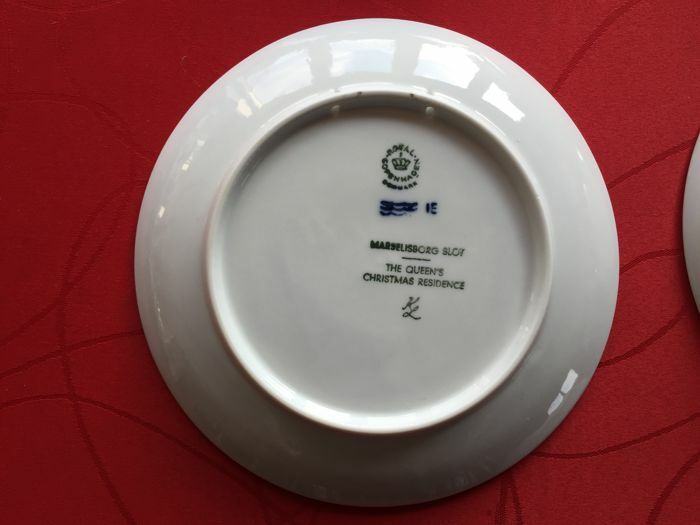 There are no chips or cracks. 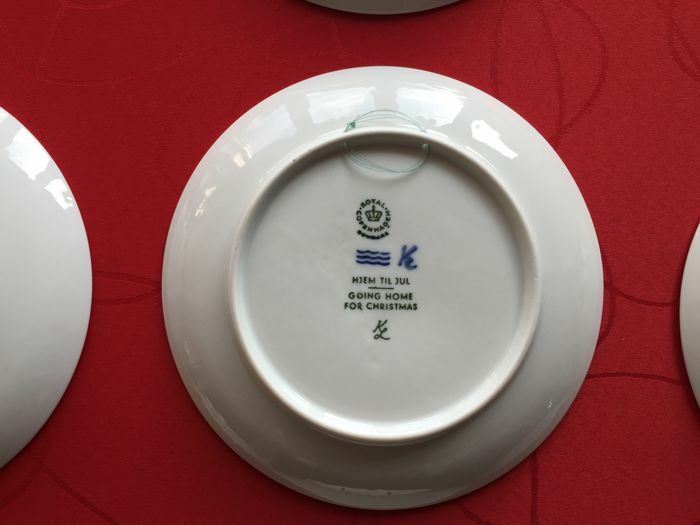 Traditionally, Christmas plates have been displayed. 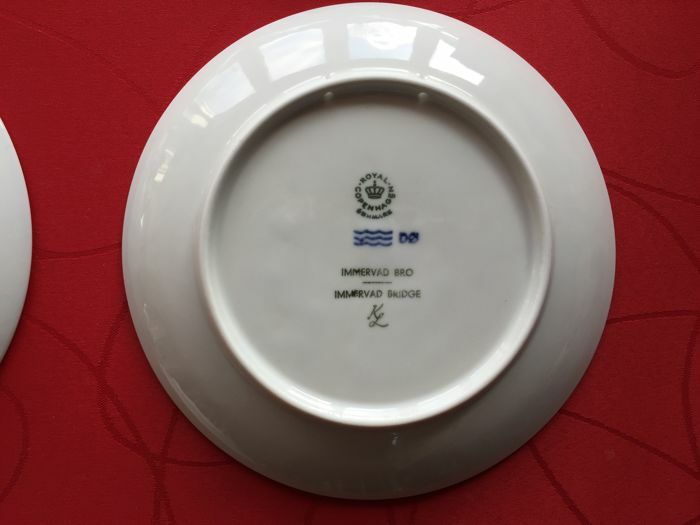 However, they are made from hard-wearing glazed porcelain and can certainly tolerate active use. 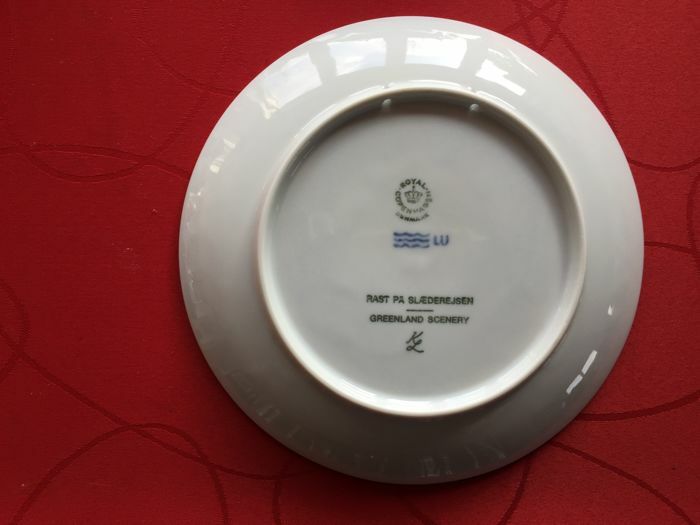 Indeed, Danes increasingly use these plates in the traditional Christmas lunches that are such an important part of Danish "julehygge". 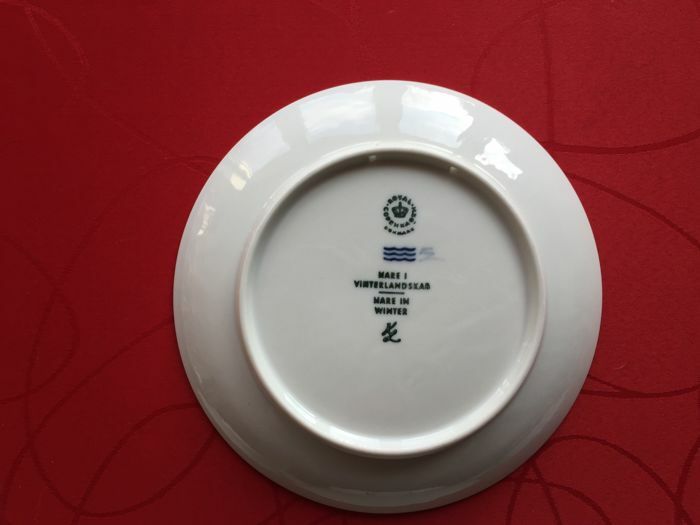 Dimensions: 18 cm in diameter, weight: 330 grams per plate. 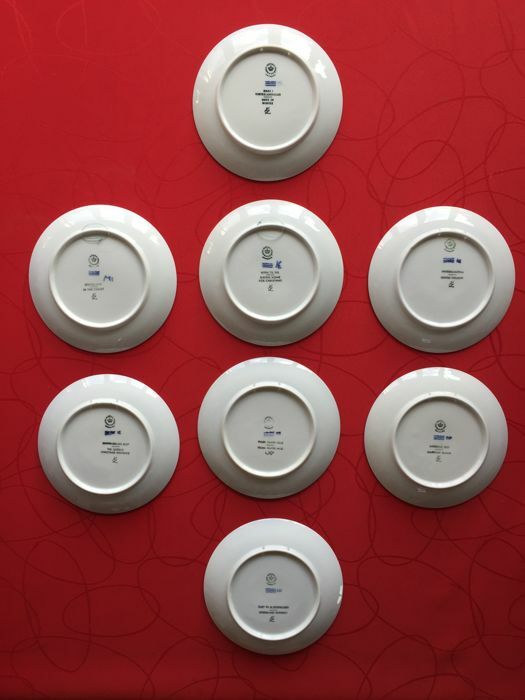 A total of 2.6 kg. 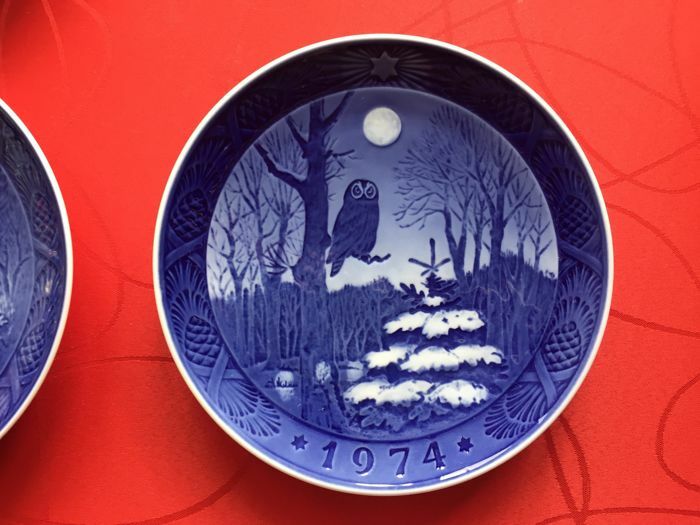 Royal Copenhagen have produced these much loved plates annually since 1908. 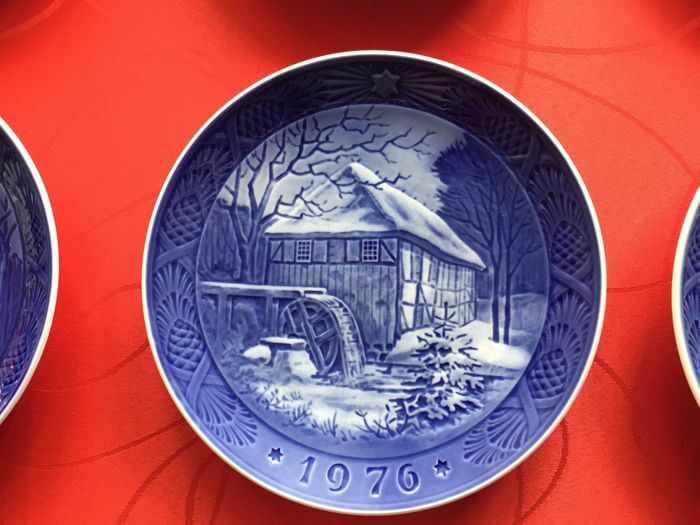 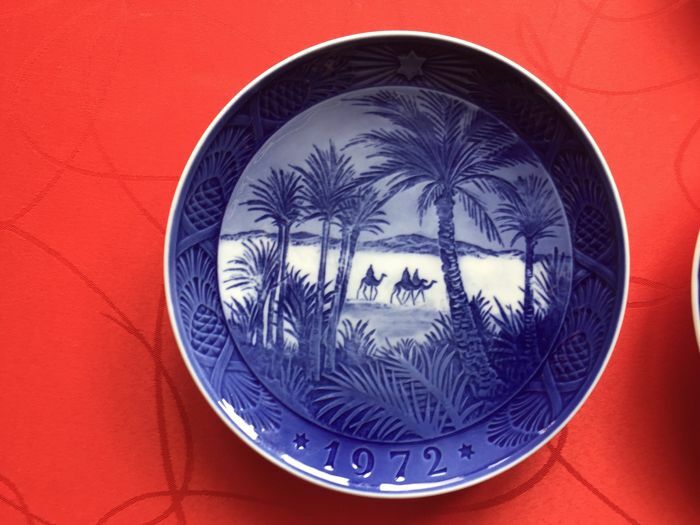 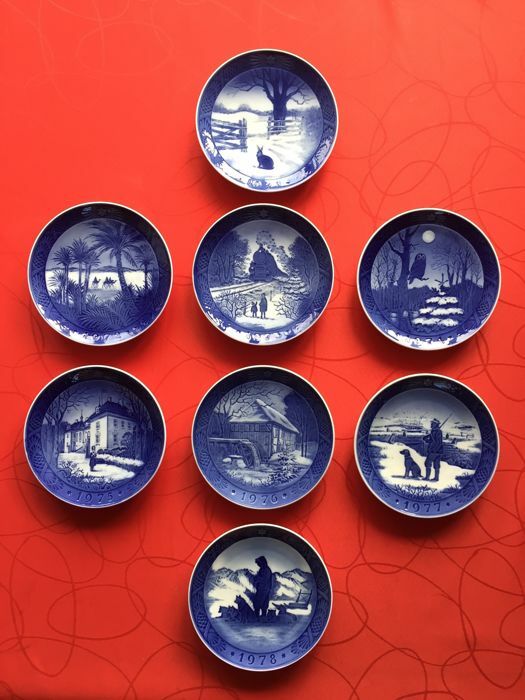 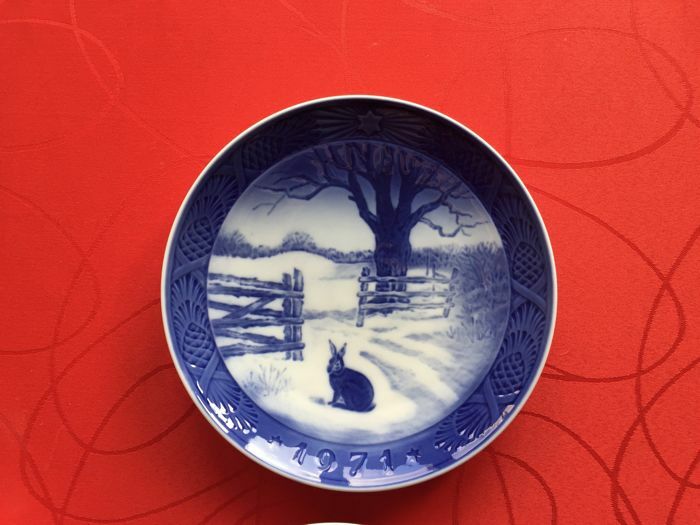 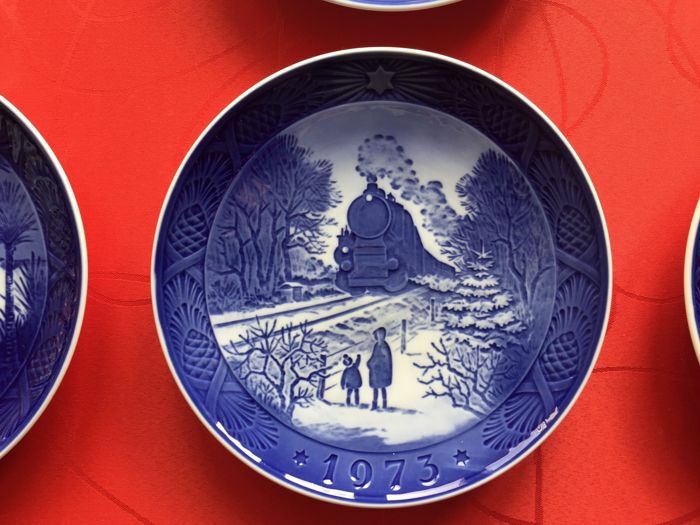 They depict traditional scenes of Danish Christmas culture in striking cobalt blue and white glazed porcelain.